The weekend is all set for a fun start as Foreign Dhaba is here with yet another popular performer for your entertainment. Originally from Kanpur and a graduate from Gandharva Mahavidyalay, Lovey is based out of New Delhi and has a band named Turban Band. 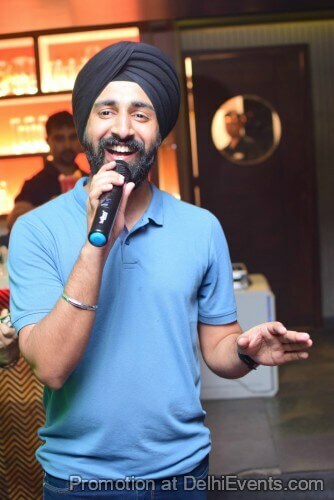 He has been a part of many concerts including the Kolkata Carnival, and has performed in several Beer Festivals, Food festivals and for shows in Clubs, the Corporate Sector and for Private affairs all over the world. He is a multi-genre singer, lyricist and entertainer and performs Sufi rock, Bollywood and Retro in his own style.